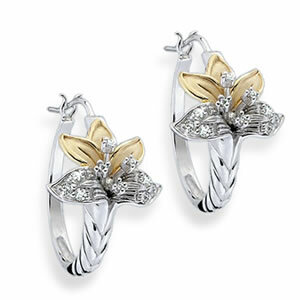 These artfully sculpted Sterling Silver earrings by master jeweler Thomas Sota are lavishly coated with 14K Gold and sparkling with White Topaz. A special treasure to cherish and wear forever... a Concorde exclusive, not sold in stores. Earrings are 3/4 inch in length and 1/2 inch in width.